It's so beautiful! The time it took to make this is worth it. It shows in all the details. I love the softness of the snow. Those eyes are ALWAYS the star of the show. ;o Sometimes I always see snow leopards in the snow scenes. The orange really pops out. That is amazing! Every detail is spot on: Magnificent work! That is very impressive, and incredibly realistic. 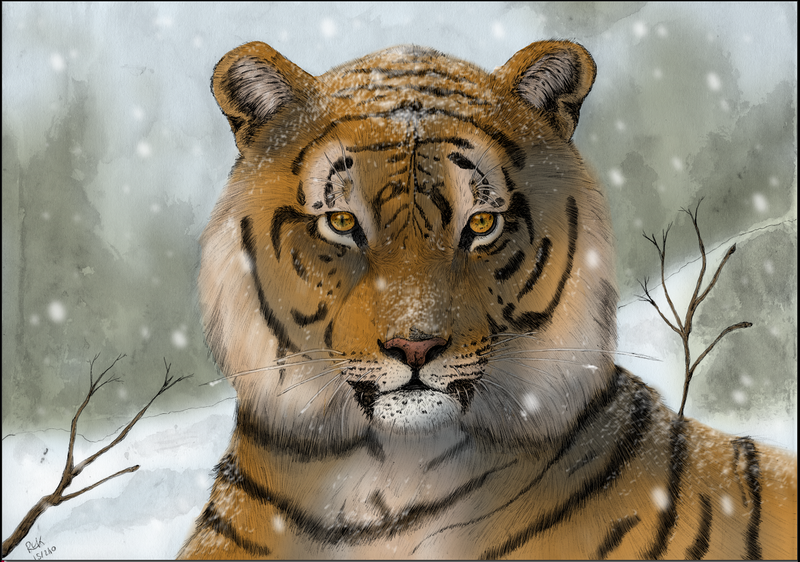 The markings on the tiger look great, and the winter background lends itself well to the pic imho.